Important Rum composer and musician in the Ottoman empire of the 16th century. He lived in the Istanbul and participated in a dervish order, having the nickname, Tiryaki (theriaklis). Lived probably between 1543 and 1600, and attributed approximately 10 compositions. In some sources mention the Great Petrakis (Petraki I Kebir), but is more likely to relate to Peter the Peloponnesian later. Musician, composer and music teacher in the Ottoman Empire in the 17th century. He played Tanbur and knew both the Byzantine and Ottoman music. He was a musician in the palace and even the most expensive, after they were 40 salary ahce daily. The sources referred to as «tanburi Angeli», is indeed the first courtier musician referred to as "tanburi". He had the nickname "Angel the Great (Koca Angeli)», the title would later acquire Peter Lambadarios. It is very likely that Angeli played an important role in the standardization of tanbur, since he was not only a performer but a teacher in the Palace. Among his students was prince Demetrius Kantemiris. Five of his composition are known to this day (Pesrev). He died around 1690. Εminent music teacher who enjoyed the respect of the patriarchs Samuel (1763-1768 and 1773-1774) and Sophronios II (1774-1780), and of the Sultans Hamit I and Selim III; and was worshipped by his innumerable students. A composer, singer and musician, Zaharya was said to have served as head cantor at the Greek Orthodox Patriarchate in Fener. It is said that he sang with the patronage of Ahmet III (1703-1730) and Mahmut I (1730-1754). As he was known by the nickname “Kurkcu” (Furrier), he is assumed to have been a fur merchant. Zaharya composed around 100 pieces; only 19 of these have survived to the present. Renowned musician and music teacher in the Ottoman Empire in the 18th century in the courtyard of Selim III (1789 - 1808). Referred to as an accomplished performer of tambur player and composer-teacher of "Bestie" (a type of slow voice synthesis). He died in 1780 or 1799. Five songs survived and two instrumental compositions, but which are likely to belong to someone else Jew Ilya santur player. 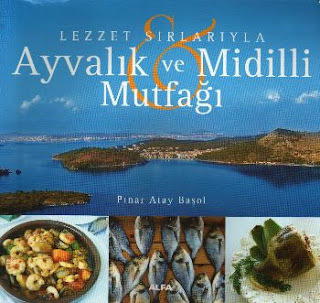 It contains that food cultere of Aivali & Lesvos..
"Ayvalık'a yolunuz düştüğünde, yaz olsun kış olsun, her zaman birbirinden lezzetli otlar bulabilmeniz mümkündür. Belki de adını yeni duymuş olacağınız istifno, deniz börülcesi, susamotu, radika/hindiba, yaban ıspanağı, muhliye, ebegümeci, kuzukulağı, ısırganotu, cibes, hardalotu, yaban sarımsağı, akkız/şevketi bostan, turpotu, yaban kerevizi, kazayağı, arapsaçı/rezene, leylekgagası, zoho gibi nice otlar...Bu otlar nerede, hangi mevsimde yetişir, hangi yemeklerde kullanılır ve nelere faydalıdırlar? Pişirilirken dikkat edilmesi gereken esaslar nelerdir? Hangi et hangi yemeğe yakışır? Hangi balık hangi mevsimde bulunur?Pınar Atay Başol'a dedesinden miras kalan tarifler, annesi Afet Atay'ın da katkısıyla bu kitapta toplandı. Ege yöresine özgü, hem sağlıklı hem de hafif tariflerden oluşan Lezzet Sırlarıyla Ayvalık ve Midilli Mutfağı, Ayvalık'a özgü hafif, sağlıklı ve lezzetli yemek tarifleriyle dolu." Born in 1973 in Athens, Greece, and was raised in a music family. His love for the cello inspired him to attend the Athenaeum Conservatoire, Athens, where he received a Diploma under the instruction of cellist Claire Demeulenaere. He furthered his studies in improvisation with musician and composer Stavros Lantsias. The scholarship from the Fulbright Foundation granted him the chance to develop his personal technique on the instrument and to study composition, arrangement and improvisation under the guidance of Ted Greene and James Mahlis in Los Angeles. Upon his arrival he established “Faros” duet together with the saxophonist David Lynch. He composes music for films, theatrical and dance theatre projects and he also gives master classes, seminars and lectures on his unique personal technique on the cello, and creative ways of performing in modern styles of music. On the February of 2005 DNA LABEL records released his debut solo album “Truth”. Yiorgos Kaloudis is based in Athens Greece. He performs his own compositions as a duet with Ruth Hill on the kanun and as a trio with the bassist Sylvan Richardson. He’s also collaborating with Alkinoos Ioannidis, Stavros Lantsias, David Lynch, Takis Farazis, Yiotis Kiourtzoglou, Elli Paspala, and music ensembles such as the Music Ensemble of M.Hadjidakis. Classical Ottoman Music from 16th & 17th century, ISTANBUL..
"At the time of Dimitrie Cantemir (1673-1723), the city which stands at the crossroads of the continents of Europe and Asia, ISTANBUL for the Ottomans and CONSTANTINOPLE for the Byzantines, already marked a veritable high point in history. Despite the memory and very palpable presence of the old Byzantium, it had become the true heart of the Muslim religious and cultural world. An extraordinary melting-pot of peoples and religions, the city has always been a magnet for European travellers and artists. Cantemir arrived in the city in 1693, aged 20, initially as a hostage and later as a diplomatic envoy of his father, the ruler of Moldavia. He became famous as a virtuoso of the tanbur, a kind of long-necked lute, and was also a highly-regarded composer, thanks to his work Kitab-i ilm-i musiki (The Book of the Science of Music), which he dedicated to Sultan Ahmed III (1703-1730)." Description: A periodical published by the History Foundation since January 1994. The journal presents a fusion of the popular and the academic, each issue offering a number of interesting articles covering a wide field extending from prehistoric times to the present, the emphasis being on the Ottoman Empire and the Turkish Republic. The journal also holds an annual "History Competition" for university students, to raise the students' history consciousness and to accustom them to scholarly research and writing. Toplumsal Tarih’in Ekim sayısı Lozan Antlaşması’na ek protokol uyarınca Türkiye ve Yunanistan arasında yaşanan ‘Büyük Mübadele’nin getirdiklerini sayfalarına taşıyor. Toplumsal Tarih 190. sayısında Türkiye ve Yunanistan’da büyük mübadelenin sosyopolitik, kültürel izlerini ve entegrasyon sürecini inceleyen ve editörlüğünü Nikos Sigalas ile Lisa Montmayeur’ün yaptığı “Mübadeleden Sonra” başlıklı dosyaya yer veriyor. Dosya içerisinde yer alan, Haris Theodorelis-Rigas’ın “Marjinalleşme Sesleri: Rembetiko Şarkıları Üzerinden Mübadele Deneyiminin Yunanistan’daki Yönleri” başlıklı makalesi mübadeleyle birlikte Yunanistan’a Anadolu’dan ve doğu Trakya’dan gelen mübadillerin yaşadıkları trajediyi rembetiko şarkılarını inceleyerek bize aktarıyor. Yine dosya içerisinde, Mehmet Ö. Alkan “Selanik’ten İstanbul’a: Bir Muhacir ve Mübadil Olarak Terakki Okulları” isimli makalesinde Selanik’te kurulan Terakki Okulları’nın mübadele sürecinde İstanbul’a göçünün hikâyesini ele alıyor. 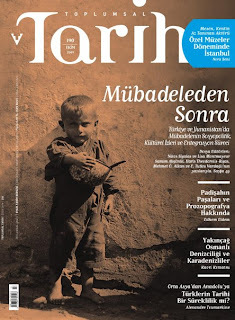 Samim Akgönül “Soyadları Yoluyla Kimliğin Meşrulaştırılması: 1923 Türk Mübadilleri Örneği” başlıklı makalesinde Yunanistan’dan Türkiye’ye gelen mübadillerin soyadları aracılığıyla ulusal kimliğe dâhil olma süreçlerini inceliyor. E. Tutku Vardağlı ise “Birinci Kuşak Mübadillerin Siyasal Katılım Stratejileri Üzerine Bir Deneme” isimli makalesinde farklı sınıflardan gelen mübadillerin yeni geldikleri topraklarda nasıl bir siyasal örgütlenme içine girdiklerini ve siyasal katılım biçimlerini inceliyor. "Turkish director Yesim Ustaoglu weaves a moving tale about the meaning of identity and the power of home. Along Turkey's northeastern Black Sea coast, beautiful valleys shrouded in mist hide terrible secrets about the country's bloody past. An elderly woman looks back on her long life after the death of her sister. For over 50 years, she has carefully guarded a secret about her distant past, but grief threatens to expose that she and her sister are Greek, not Turkish. In the early 1920s, after the Turkish War of Independence, Greeks were forcefully deported. But the old woman and her sister hid their true identity for five decades. Now she feels compelled to search for a long-lost brother in Greece. Adapted from the novel by Georgios Andreadis, WAITING FOR THE CLOUDS follows an elderly woman living in Turkey on the coast of the Black Sea. There, she contemplates her painful past and the secret she's been hiding for 50 years." After making several award-winning shorts, Yesim Ustaoglu made her feature film debut with 1994's "Iz" (The Trace). The film was presented at numerous international venues, including Moscow and Gotenburg. Ustaoglu received international recognition for her 1999 film "Gunese Yolculuk" (Journey to the Sun). In competition at the Berlin Film Festival, "Journey to the Sun" received the Blue Angel Award (Best European Film) and the Peace Prize, as well as Best Film, Best Director, the FIPRESCI Prize, and the Audience Award at the Istanbul Film Festival. 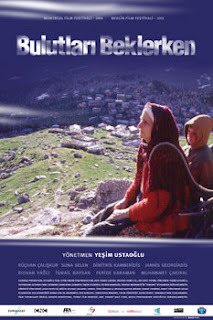 Yesim Ustaoglu's recent documentary, "Sirtlarindaki Hayat" (Life on their Shoulders) was screened at the 10th Annual Boston Turkish Arts and Culture Festival in 2005. Starting trailer of Yeşim Ustaoğlu's Bulutlari beklerken (Waiting for the Clouds) (2003). Archive film shots of the resettlement of the Pontus Greeks. Gurdjieff was born in Alexandropol (Gümrü), Armenia to a Pontic Greek father and an Armenian mother. The exact year is unknown; anything from 1866 to 1877 has been offered. James Moore's biography ("Gurdjieff: The Anatomy Of A Myth") argues pursuasively for 1866. 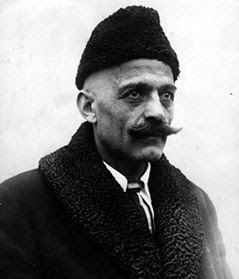 Gurdjieff grew up in Kars, traveled in the Near East before returning to Russia and teaching in Moscow and St. Petersburg in 1913. In the midst of revolutionary upheaval in Russia he left Petrograd (St. Petersburg was renamed Petrograd on September 1, 1914) in 1917 to return to his family home in Alexandropol. During the Bolshevik Revolution he set up temporary study communities in Essentuki in the Caucasus, then Tuapse, Maikop, Sochi and Poti, all on the Black Sea coast of Southern Russia where he worked intensively with many of his Russian pupils. In mid-January 1919 he and his closest pupils moved to Tbilisi. In late May 1920 when political conditions in Georgia changed and the old order was crumbling, they walked by foot to Batumi on the Black Sea coast, and then Istanbul. There Gurdjieff rented an apartment on Koumbaradji Street in Péra and later at 13 Abdullatif Yemeneci Sokak near the Galata Tower. The apartment is near the tekke (monastery) of the Mevlevi Order of Sufis (founded by Mevlana Jalaladdin Rumi) where Gurdjieff, Ouspensky and Thomas de Hartmann experienced the sema ceremony of The Whirling Dervishes. In Istanbul Gurdjieff also met John G. Bennett. In August 1921 Gurdjieff traveled around western Europe, lecturing and giving demonstrations of his work in various cities such as Berlin and London. In October 1922, he established the Institute for the Harmonious Development of Man south of Paris at the Prieuré des Basses Loges in Fontainebleau-Avon near the famous Château de Fontainebleau. In 1924 he nearly died in a car crash. After he recovered, he began writing All and Everything originally written by him in Russian and Armenian. He stopped writing in 1935 having completed the first two parts of the trilogy and only having started on the Third Series which had been published under the title Life is Real Only Then, When 'I Am'. In Paris, Gurdjieff lived at 6 Rue des Colonels-Rénard where he continued to teach throughout World War II. Gurdjieff died on October 29, 1949 at the American Hospital in Neuilly-sur-Seine, France. His funeral was held at the St. Alexandre Nevsky Russian Orthodox Cathedral at 12 Rue Daru, Paris. He is buried in the cemetery at Fontainebleau-Avon. Consideration of Gurdjieff's music begins with grateful tribute to his loyal and gifted amanuensis, the classically trained Russian musician Thomas Alexandrovitch de Hartmann (1866-1956). Although de Hartmann generously insisted, 'It is not "my music". It is his. I have only picked up the master's handkerchief ', it was he who arranged, scored and first played, the compositions which Gurdjieff inspired and indicated in essence. Gurdjieff, although not a proficient instrumentalist, variously attempted the piano, the mouth-organ, the guitar, and the portative organ on which, particularly in old age, he extemporised. He could score sufficiently to indicate the key signature and the fundamental melody. Altogether he commanded sufficient means to superintend a collaboration which Laurence Rosenthal has called 'unique in the history of music'. Gurdjieff began his musical training as a choirboy in the cathedral of Kars, and was enthusiastic enough to seek (though unsuccessfully) entrée to the Archdeacon's choir in Tiflis. As an adult he acquired an intimate knowledge of Middle Eastern and Central Asian traditional and religious music. He also had an impressive command of Western speculative music and of 'mantric chanting' . In all Gurdjieff composed around 200 pieces. Most of the Movements and ballet music were created in the early years of the Gurdjieff/de Hartmann relationship; most of the programme music (short descriptive pieces - tender, witty, elegiac, religious, humorous, etc.) in the period of intensive work between 29th July 1925 and 1 May 1927, when the collaboration ended. A third and scarcely precedented category is identifiable as 'ideological music'; for example, 'Holy Affirming, Holy Denying, Holy Reconciling' correlates musically the Law of Three and the Law of Seven. None of these compositions is a slavish pastiche of ethnic music. Rather Gurdjieff transmutes and recanalises the subtle essence of an ancient tradition, delivering it to modern man as a summons to awaken and a support for his effort to be. Gurdjieff's determination to influence the West led him to express an œuvre redolent of Asia on that archetypally European instrument the pianoforte - to introduce the unknown in terms of the known. It is true that de Hartmann's specialisation (he studied piano under Annette Essipov, a teacher of Prokoviev and Schnabel) predicated his choice - but it is equally true that Gurdjieff chose de Hartmann, preferring him over Vladimir Pohl. Although the Gurdjieff/de Hartmann music is - as yet - seldom brought to life outside authentic Gurdjieffian circles, a representative introduction to the œuvre, re-recorded from tapes of de Hartmann's playing, is now available on compact disc and cassette from Triangle Records, Triangle Editions, Inc., P.O. Box 452, Lenox Hill Station, New York, New York 10021. The definitive edition of the piano scores is under publication in Germany by B. Schott's Söhne (which produced first editions of Mozart, Beethoven and Wagner), the last of four volumes being due in 1992. Serious musicologists are referred to the de Hartmann papers in the music library of Yale University. "1869 yılı sonbarında Soghomon müzisyen bir ailenin ilk çocuğu olarak Kütahya'da dünyaya geldi. Henüz bir yaşına varmadan halı desinatörü ve dokumacı aynı zamanda müzisyen olan annesini, on bir yaşında ise bestekâr ve ozan aynı zamanda ayakkabıcı olan babasını kaybeder. Sadece Türkçe konuşabilen Soghomon sesinin çok güzel olması sebebiyle, Etchimiadzin Ruhban Okulu'nda öğrenim hakkı kazandı. 1890 yılında bu okuldan rahiplik unvanı ve KOMITAS Vardapet ismini alarak mezun oldu. Komitas halk müziği ve antik enstrumanları, koro, orkestra ve kilise orkestralarında kullanan ilk müzisyendir. Ermeni müziğinin antik tempo ve ezgilerinin şifrelerini cözmek için; Anadolu, İran, Kafkasya, Grek ve Mısır topraklarında Ermeni halk türküleri ve tempolarını ayrıca ulaşabildiği antik sesleri de derleyip düzenlemiştir. Bu çalışmaları ile 4000'e yakın eser toplayan Komitas eşsiz bir müzik kolleksiyonuna sahip olmuştur. Daha sonra 1895 yılında Tiflis'ten Berlin'e Müzikoloji eğitimi almak için gitti. Kaiser Friedrich Wilhelm Universitesine kaydoldu. 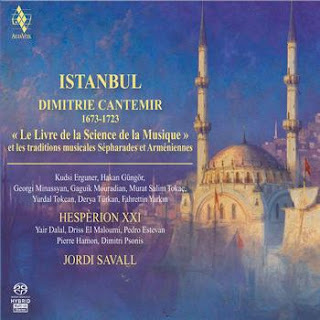 Müzik eğitiminin yanı sıra genel tarih, müzik tarihi, felsefe ve estetik derslerine de katıldı. Khazzes türkülerinin tempo ve ezgi şifrelerini çözdü ve "Ses Teorisi" ni ıspatladı. 1899 yılında bu okuldan Müzikoloji Doktoru payesini alarak mezun oldu. Anadolu, Avrupa ve Mısır'da müzikoloji, Ermeni kilise ve halk türkülerini konu edinen seminerler verdi. Çesitli orkestra ve korolar kurup, müziğini icra etti. Yerel ve antik müziklere olan cezbesi sebebiyle kiliseden uzaklaştı. Kendine özgü Badarak İlahileri'nin bestelerini tamamlayamamıştır. Yarattığı makam ve üsluplar onu müzik tarihine "otantikliğin sesi" olarak işledi. Keman dörtlüsü için hazırladığı beste ve derlemeler Avrupa'dan Rusya ve İran'a kadar ünlendi ve çok beğenildi. 1910 yılında Ermeni müziğini ve antik ezgileri geliştirmek, çok sesli koro ve orkestralarda sahneletmek için İstanbul'a geldi. Anadolu'nun çeşitli yerlerinde müzik dersleri ve seminerler verdi. Birçok halk müziği korosu ve orkestrası kurup yönetti. İzmir ve Hatay'da da konaklayan Komitas, Türk Ocakları'nda da müzik dersleri ve seminerleri verdi. Dokunaklı ve özgün eserleri yaşandığı ve yaratıldığı coğrafyaların en eşsiz sesleridir. 300 erkek üyeli ünlü " Gousan Korosu" nu kurdu. Gousan Korosu ile seslendirttiği eserler bugün hala Avrupa ve Rusya'da düzenli olarak sahnelenmektedir. 1915, 24 Nisan Tehcir Kararı gereğince; aynı gece 234 Ermeni yazar, yayıncı, sanatkar ve entellektüelleri ile birlikte tutuklanıp Çankırı'ya sürgüne gönderildi. Bu tarihe kadar yaptığı bütün çalışmalar, derlemeler ve notaları yakıldı. Halide Edip Adıvar'ın ısrarlı çaba ve girişimleri ile 8 Mayıs’ta İstanbul‘a geri gönderildi. Yaşadıkları Komitas'a derin ve onulmaz yaralar açtı. 1916 yılında İstanbul'da La Paix Hastanesi Psikiyatri Kliniği‘ne yatırıldı. 1919 yılında ise Paris'teki bir psikiyatri kliniğine yollandı. 1935 yılına kadar bu klinikte yaşadı ve bu klinikte öldü. Anadolu müziği ve hinterlandı ile ilgili en kapsamlı ve tek bilimsel çalışmaya imzasını atan sanatkarımıza yaşatılan acıları ve reva görülen yalnızlığı ayrıntılı bir şekilde anlatmaktansa; ülke ve toplum olarak takındığımız cahil asabiyetlerin bizleri nasıl da yoksul hayallere mahkum bıraktığını, koca koca yalanlar yaşattığını anlatmak daha yerinde olacaktır. Coğrafyalar, tarihler, kimlikler üstü bir müzik dehasına hangi düşünceye kanaat getirilerek tutuklama ve sürgün kararı çıkarılmıştır. Bu günah sadece Halide Edip ve çevresini rahatsız ederken, o günleri bilip de bu günlere kadar hep susan, her dönemin "itibarlı" sanatçıları ve müzik araştırmacıları rahatsız olmak bir yana Komitas'ın eserlerini kendilerine mâl edip icra etmişlerdir. Birkaç dipnot düşmeden bu tahlili tamamlamış olamam. Cumhuriyet'in " büyük " derlemecisi neredeyse isminin anılmadığı türkü olmayan Muzaffer Sarısözen'in derleme ve çalışmalarının nerede ise tamamı Komitas'a aittir. Anadolu ve çevresindeki müzik araştırmaları ve derlemeleri yapan ilk şahsiyet yine Komitas'tır. Muzaffer Sarısözen'in kendisi keşfetmiş gibi anlattığı " halı dokuma tezgâhı temposu" ile yazılmış türkülerin tempo şifrelerini çözen, bu temponun dokuma temposu olduğunu ilk söyleyen yine Komitas'tır. Sadece dokuma tezgahı temposu değil, Anadolu'da kullanılan birçok ilkel aletin temposunun müziğe uyarlandığı teorisi Komitas'a ait olup, Kaiser Friedrich Wilhelm Universitesi‘nin kayıtlarında, 1899 yılı dokumanlarından edinilebilinir." singer, choir conductor, flautist, and teacher. 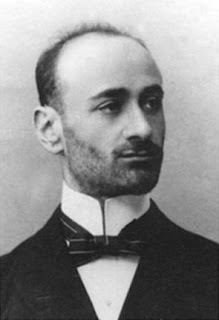 Komitas is the founder of Armenian national school of musical composition. He freed Armenian music from foreign influences and was the first to prove the Armenian nation have its own music. Being a profound expert of national music, Komitas created an original synthesis of Armenian monodic (one-voice) thinking and European polyphony that has endured to the present. He collected and wrote down thousands of folksongs, studied church and folk music considering them to be “siblings”. Komitas also made a research of Armenian khazes (symbols used in the old Armenian system of musical notation), and authored Patarag (Liturgy) of the Armenian Church. Description: Araştırmacı yazar İsmail Tokalak eserinde; Türklerin Bizansla tanışması ve Anadoluda yeni Türk kimliğinin oluşum süreci, Osmanlı öncesi Bizansın İslam dünyasına etkisi, devlet kurumları, toprak düzeni ve vergi sistemindeki benzerlikler, yemek ve müzik kültürü, dini inanışlar, büyü ve evliyalık/azizlik öykülerinin benzerliği, mimari, dil etkileşimi ve Bizans ve Osmanlıda kadın başlıklarıyla incelemiş ve ortaya oldukça kapsamlı bir kültür hazinesi çıkarmış. 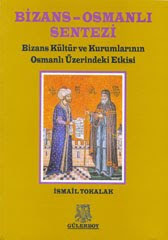 1000 yıl birlikte yaşayan bu iki halkın karşılıklı kültür etkileşimlerini irdeleyen ve ezberleri bozan bir kitap. 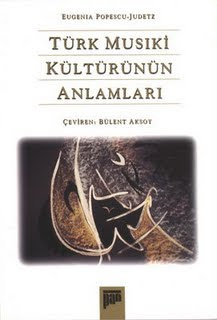 This book is about the similarities of the Ottoman and Byzantine state traditions, tax system, army order, religious interactions like saints and evliya/veli/abdals etc., common music roots and food culture, language interactions, architecture, Byzantine & Turks' relations in the history. Bengi Trio was formed in 1988 by Okan Murat Öztürk, Kenan Özdemir and Özay Onay. Bengi Trio has been almost the only "bağlama" (long-necked Anatolian folk lute) group elaborated on bağlama and Anatolian music.The trio has been trying to dovelop the solo performance of bağlama and sees it as the basic and prior musical instrument of Anatolia. 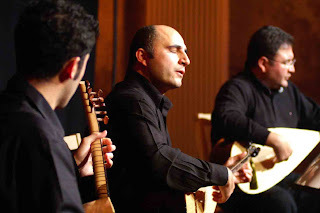 While the members of the group give much importance to the traditional way of playing techniques (tavır), they also consider the proper harmonic accompaniments which means that Anatolian music, though being a modal and unison music, can be polyphonic. These ideas are briefly expressed in one thrase remaining the same while changing, changing while remaining the same which is what the Bengi Concept is. The trio has played in many international and domestic festivals and given academic leveled concerts at different foreign and local culture centers and concert halls. Some ofthese are Houston international Festival (USA). U.M. Church (Atlanta-USA). HDK Bundeshalle Concert Hall (Berlin-Germany), Balihaus (Berlin-Germany), Mercator Halle Concert Hall (Duisburg-Germany), Ankara International Music Festival (Turkey), Istanbul CRR Concert Hall (Turkey), İzmir Atatürk Culture Center (Turkey), METU Culture Center (Turkey), Antalya Culture Center (Turkey), İzmit S. Demirci Culture Center (Turkey), As well as the concerts, there are many tv and radio programs in the past of Bengi. Sel Gider Kum Kalır (Flood leaves, sand remains) by Kalan Müzik " 2001. The Bengi Bağlama Trio is now celebrating its 20th anniversary with a new album released via the Kalan Music label. Billed as “Turkey's best bağlama ensemble” by Martin Stokes and Francesco Martinelli on the “Rough Guide of World Music,” the trio has recorded 17 folksongs from four corners of Anatolia on the new CD, titled “Yeni Gelenek” (New Tradition). Description: Eugenia Popescu-Judetz is an ethnomusicologist and art historian with foremost expertise in Turkish musical writings and performing arts of the Ottoman period. Adjunct Professor and Museum Consultant to Duquesne University in Pittsburgh, Pennsylvania, she has taught courses in the folk music and performing arts of Eastern Europe and Turkey. 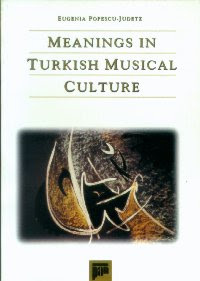 She is the author of several monographs and essays on Turkish music sources and Romanian folk arts.